Annalise Fontana is feeling blue with no job, no boyfriend, and packed among her childhood memories in her parents' home. What could be more enticing than the opportunity to serve as a companion to her elderly Auntie Lil on a senior citizens’ tour of China (with a side trip to Singapore?. She digs out her passport and packs her bags and assumes that she’s in for a tranquil Annalise Fontana is feeling blue with no job, no boyfriend, and packed among her childhood memories in her parents' home. What could be more enticing than the opportunity to serve as a companion to her elderly Auntie Lil on a senior citizens’ tour of China (with a side trip to Singapore?. She digs out her passport and packs her bags and assumes that she’s in for a tranquil Jane Austenesque journey. While visiting heart-stopping sights, Annalise also has her heart begin pounding faster as she meets a number of charming young men. But who is the mysterious, brooding stranger who seems to pop up on the streets of Singapore, in Beijing’s Forbidden City, and stays on her mind at the Great Wall of China? 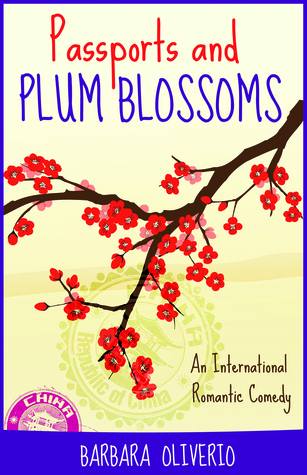 Published October 4th 2015 by Scolapasta Press, Ltd.
To ask other readers questions about Passports and Plum Blossoms, please sign up. Annalise welcomes the opportunity to escape after losing both her job and boyfriend. However, she quickly finds her interest in blogging about her travels. The novel illustrates that relationships may occur when one least expects ! Thank you GoodReads for the book. This was another great and light read from Barbara Oliverio! I loved the laughs I got as well as the journey we took in this fun book! If you are looking for a great fun read, this is the book for you! This book is all about embracing the unexpected. After Annalise loses both her job and her boyfriend, a fun tour of China is just what the doctor ordered. On the tip with her elderly aunt, Annalise is thrown to the wind on this adventure. She experiences things in a way she definitely wouldn't have on her own and with that brings on fun she didn't think she would have. Okay, We should just talk for a moment on our dark and mysterious man in Singapore. I LOVED the way that Barbara crafted this book. She had us wondering, but at the same time kept us distracted with a plethora of fun sights as well as these fun guys along the way. I don't want to give anything away because this novel was fun and a great read. It was quick and had me giggling over and over again. Don't miss this enjoyable read. 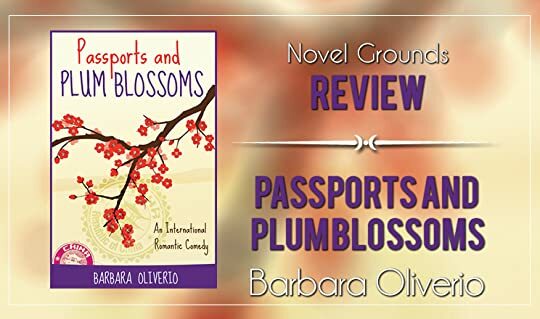 Passports and Plum Blossoms <3 A GREAT read for this spring. Annalise Fontana is feeling blue with no job, no boyfriend, and packed among her childhood memories in her parents' home. What could be more enticing than the opportunity to serve as a companion to her elderly Auntie Lil on a senior citizens’ tour of China (with a side trip to Singapore?. She digs out her passport and packs her bags and assumes that she’s in for a tranquil Jane Austenesque journey.